Schoolhouse Ronk: Memorial Day Weekend! Happy 3 day weekend everyone! 4 day if you are military! Brian started off the weekend by going with the teen boys from our church on a camping/fishing trip. They didn't catch a single fish but he said they really had a really great time. I started off the weekend by going with some of the teen girls and Lauren on a shopping trip to Morehead City Friday night. I got a few more maternity shirts at Ross and a few craft items at Michaels. Then we went to Belk, Can you believe I got this sweater dress for $2!! 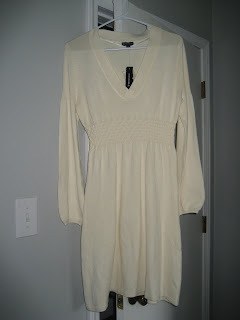 Its not maternity but it is going to be great for wearing this fall and winter! 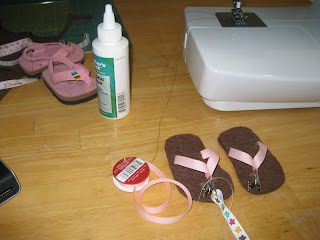 Saturday morning while I was waiting for Brian to get home, I started a new little craft project: Baby Flip Flops! These are just my prototype in the beginning stages! 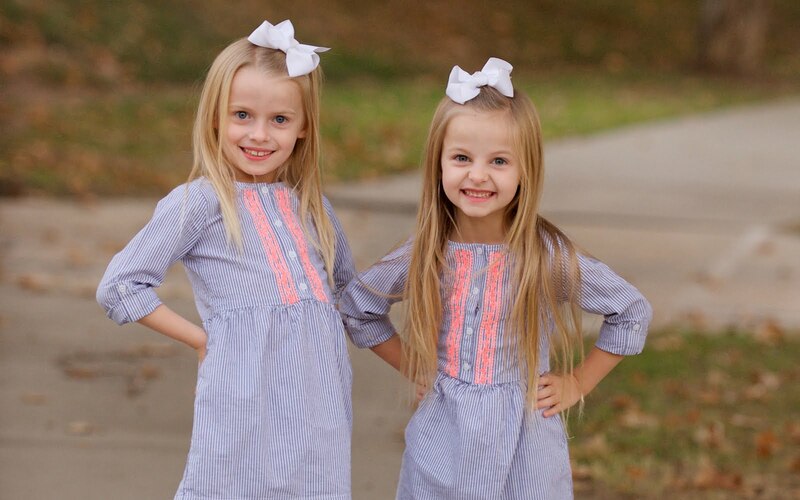 I tried them on Lily Kate last night and they looked so cute! I will be sure to post when I get some sets done! 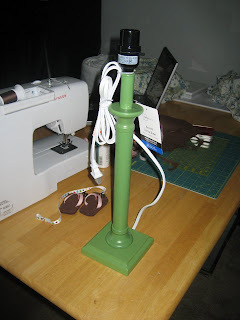 I just need to figure out how to use the buttonhole foot on my sewing machine! This is the lamp I picked up @ Walmart for $5! Christy thanks so much for telling me about these! The color is perfect for the room! Now I just need to find some shades to cover! Yesterday we finished one of the nursery projects we have been wanting to do! 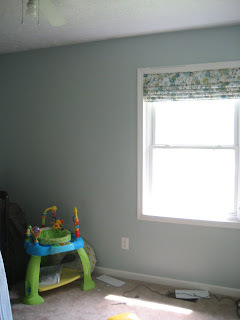 We made a fabric roman shade for the nursery that is lined with blackout fabric! It looks so good, I just love it! The tutorial is from Little Green Notebook. I got a little frustrated with the process midway through when I had cut my finger on a ladder and then got a huge "paper cut" from one of the slats on the same finger and then burnt my foot on the hot glue gun. Thankfully I have an amazing husband who is good at remaining not frustrated and made me keep going! I just love the finished project! Yay! I am so glad you found what you were looking for and on the cheap! 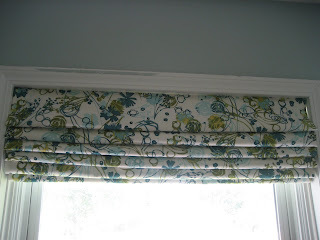 Love the roman shade! If you wanted, you could make me one. You know, if you wanted! Haha! The Nursery beginning to take shape! What do you think of this lamp? 27 weeks & Nursery Before Pictures!